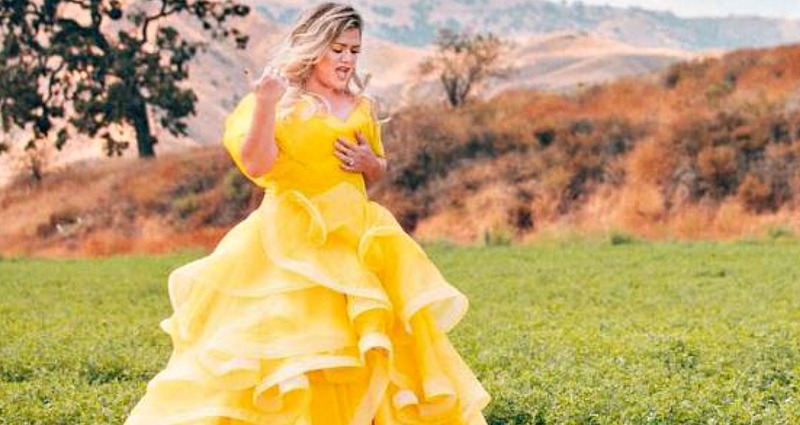 Kelly Clarkson just released her brand new album titled ‘Meaning of Life’ and we’ve got 10 fun facts about the original American Idol! Fresh off the release of her critically acclaimed project, Meaning of Life, Kelly Clarkson is continuing along in her remarkable career in the music industry. The “Love So Soft” singer is in the prime of her life and we wanted to dig a little deeper into the life that Clarkson has lived so far. Here are 10 things you might not have known about Kelly Clarkson! #1: She is not only musically talented, but very intelligent too! She turned down two full-ride scholarships to The University of Texas at Austin and the Berklee College of Music, and later turned down two record deals before winning American Idol. #2: She is afraid of sharks. She wanted to be a marine biologist before her music career. She stopped pursuing a career in marine biology after she watched the movie Jaws. #3: She has has some acting roles. Clarkson was an extra on the television show Sabrina, The Teenage Witch and acted in speaking roles in a few other film productions. #4. Clarkson can relate to restaurant and bar servers. Before her music career, she worked as a cocktail waitress at a comedy club in Arlington, Texas. She also worked at a comedy club called Hyena’s Comedy Club in Fort Worth, Texas. #5. She is part Greek! A great-grandfather of hers on her mother side was an immigrant from Greece. She also has ancestors from England, Ireland, Germany, and Scotland. #6. 2007 was one of the toughest years for her career. #7. She broke the record for fastest jump to #1 on the charts. In 2002, Kelly Clarkson’s “American Idol” inaugural song “A Moment Like This” broke a record previously held by the Beatles for fastest jump to No. 1 on the Billboard Hot 100 chart. In total, the songstress has 13 tattoos on her body including a cross and the saying “Love Them More” on her wrist, a heart on her hand, the state of Texas, and a jigsaw piece that has deep meaning for her. It symbolizes peeling off the top layer and seeing the whirlwind beneath, a tornado on a yellow brick road. #9. She has a famous mother-in-law. Clarkson married Reba McEntire’s stepson Brandon Blackstock in October 2013. #10. One of her favorite bands is a pop-punk act. Clarkson has stated in the past that No Doubt with Gwen Stefani is one of her all time favorite bands.